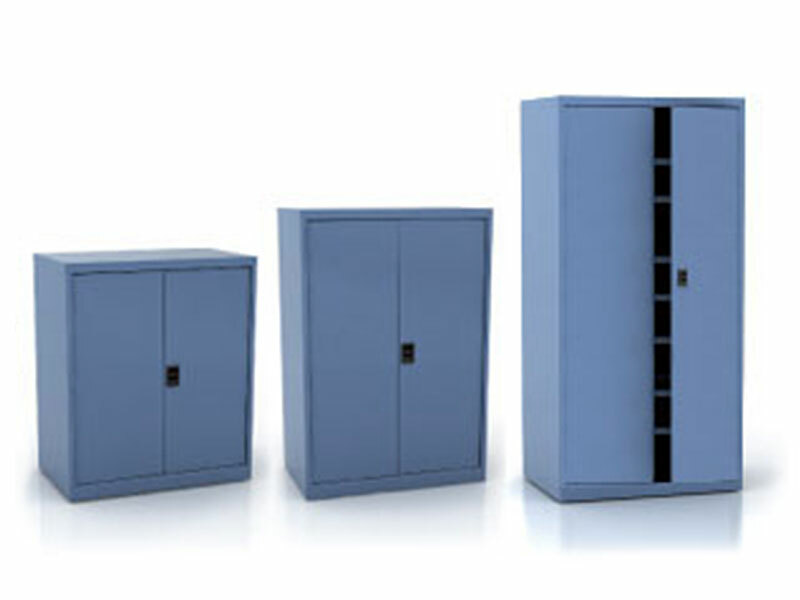 The Boscotek range of slope top cabinet industrial storage cupboards are ideal for use in applications where OH&S is an issue; items cannot be placed on top of slope top cupboards reducing the risk of items falling from above. Boscotek slope top cabinet cupboards deliver superior quality, structural stability and greater flexibility than any similar products on the market. 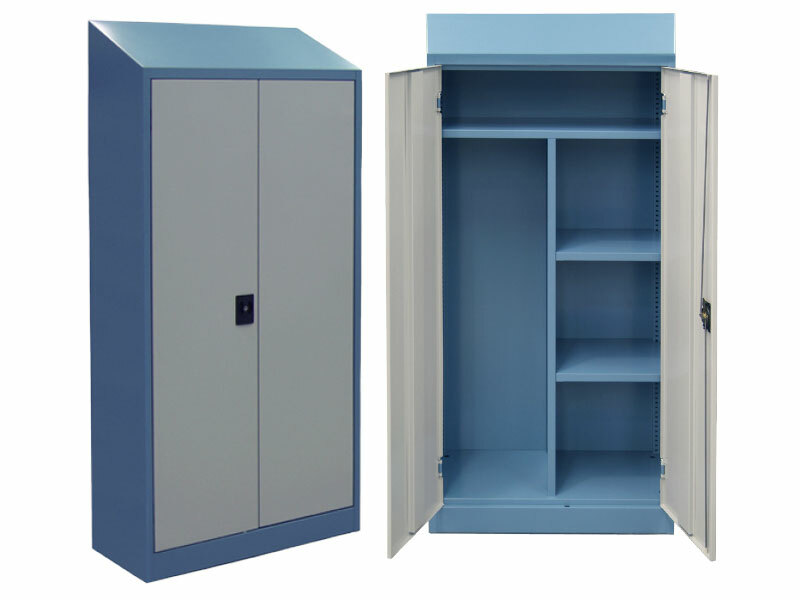 Boscotek industrial storage cupboards incorporate a strong fully welded base produced from 0.95mm zinc seal material. 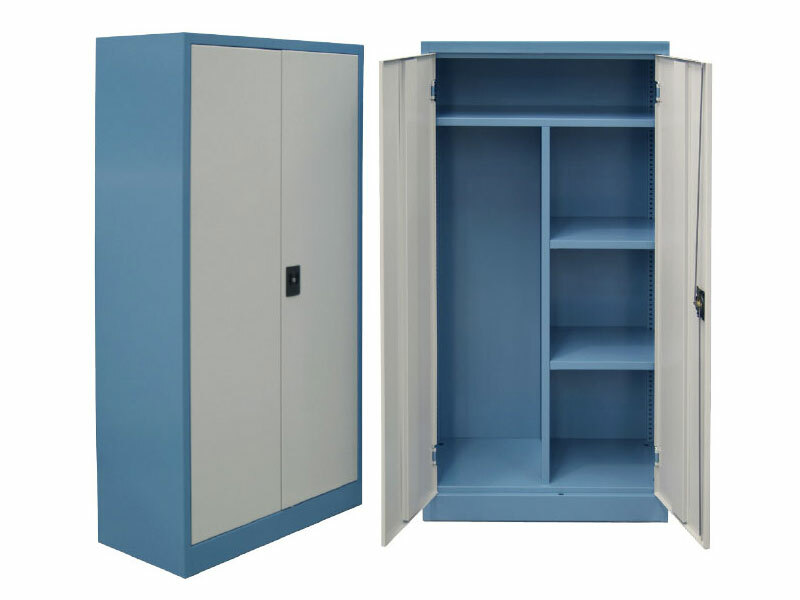 The body of this versatile cupboard is manufactured from 0.95mm zinc seal with no visible welds or rivets leaving a seamlessly constructed product. Cupboards are available in a number of standard shelving configurations and shelves can be adjusted at 20mm increments enabling users to position shelves to suit their specific storage requirements. The Boscotek slope top industrial cupboard offers substantial OH&S benefits. The angled top prevents items being placed on top of the cupboard and eliminates the risk of items falling from above. Cabinet corner posts are fully integrated into the carcass using advanced folding technologies. Unlike competitive products where corner posts are spot riveted to unit, integrated corner posts provide superior structural integrity and add to the strength and durability of the unit. Add additional shelves to our standard shelving configurations. Half and full length shelves can be ordered separately to enable you to create your perfect storage solution. There is a variety of information regarding the Boscotek products available for download. This information is designed to assist you in selecting and configuring Boscotek products. If you require further assistance please contact your Boscotek representative.